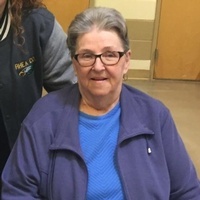 Margaret Emma “Peggy” Shadden 78 died Saturday November 3, 2018 at Erlanger Medical Center in Chattanooga. Born in Chicago, Illinois, she was the daughter of the late William and Caroline “Mae” Pavlick Quinn. Peggy enjoyed crafting, stamping, collecting Christmas villages and decorating for Christmas. She was preceded in death by her husband of 63 years Earl “Gator” Shadden Sr., her son Michael Shadden, sisters Alberta McKee, Carol Jenkins and brother James McCollough. Survivors include her sons Earl (Brenda) Shadden Jr. of Evensville, Kevin (Claire) Shadden of Warner Robbins, GA and Scott (Leigh Ann) Shadden of Dayton, daughter Cynthia (Alfonso) Rodriguez of Dayton, seven grandchildren and four great grandchildren. Graveside services will be Monday November 5, 2018 at 1:00 PM in the Spring City Cemetery with Minister Steve Brown officiating. The family will receive friends Monday at the funeral home one hour before services.